November 05, 2015 / Elle T.
So it's starting to get a little chilly around here, which means Fall is finally upon us! Yay! To celebrate our favorite season, we decided to share some fun decorating ideas for your home. 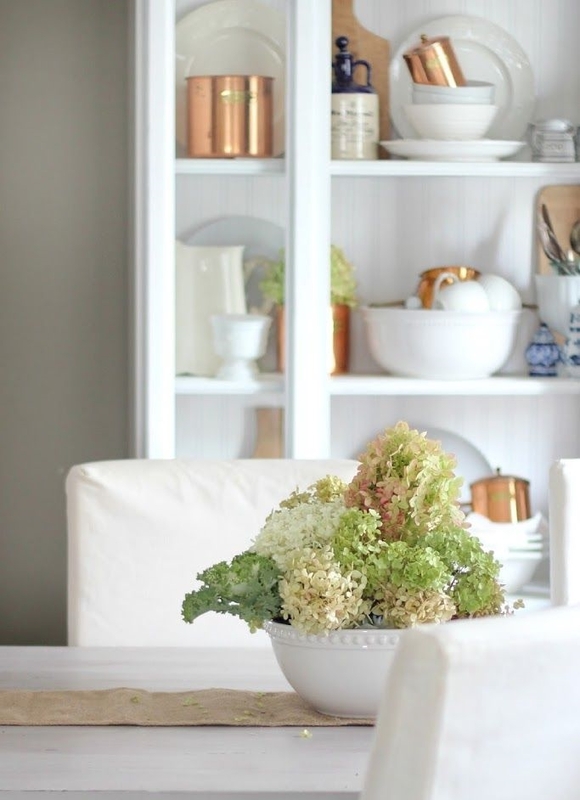 Neutral Palette: There is something so fresh and unexpected with a neutral vignette for Fall. Love the combination of the cream, beige, and gray tones especially with distressed wood. A stylish swap from your classic color scheme. Pumpkin Tablescape: Easiest way to add Fall to your home. 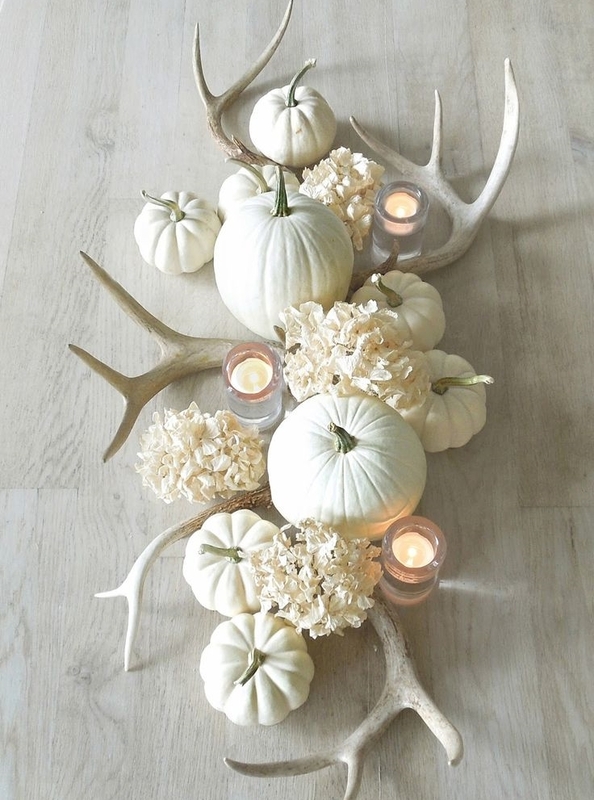 We're obsessing over the antlers in this particular centerpiece and the white heirloom pumpkins are so chic! Cluster a few along with some votives and you are all set. Copper Accents: One of the biggest trends for Fall is our favorite warm metal that is making quite the statement and popping up everywhere. With it's orange tone, it makes for the perfect touch this season! 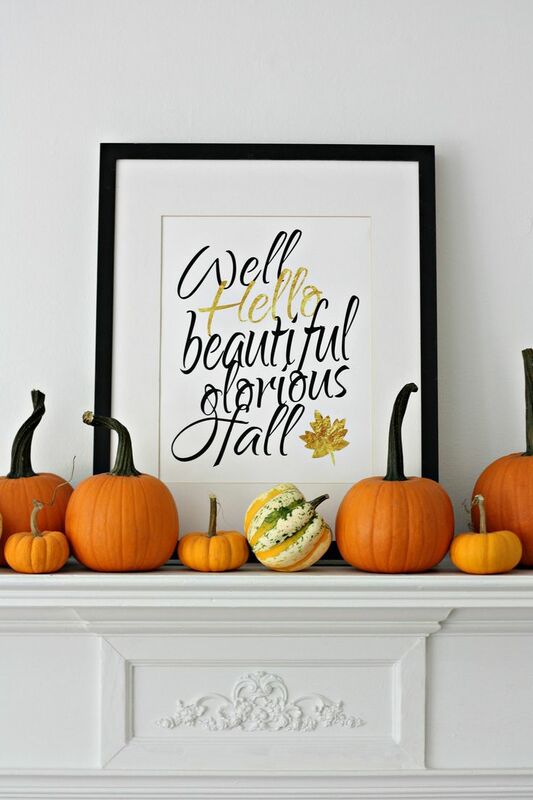 Fall Signage: Add a subtle hint with a fun printable and get creative. You can hang it above your mantel or incorporate it with a gallery wall. Cozy Throws: Perfect way to cozy up your house for Fall. Comfy throws and blankets make the best addition and who doesn't like to snuggle up when it gets cold out!